Francesco Giannino » 1.Functions and their graph. One–one and onto functions. Composite and inverse functions. in which x is called argument (input) of the function f and y is the image (output) of x under f.
A single output is associated to each input, as different input can generate the same output. indicates that ƒ is a function with domain X and codomain Y. 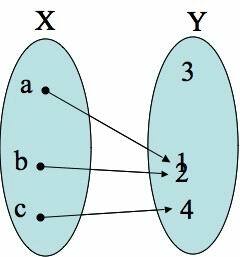 In particular, if x and y are real numbers, G(f ) can be represented on a Cartesian plane to form a curve. A glance at the graphical representation of a function allows us to visualize the behaviour and characteristics of a function. 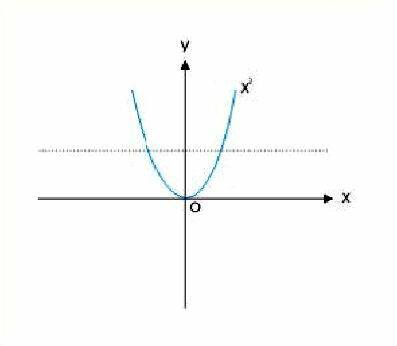 The Vertical line test is used to determine whether a curve is the graph of a function when the function’s domain and codomain correspond to the x and y axes of the Cartesian coordinate system. is it possible to draw a vertical line that intersects the curve in two or more places? If so, then the curve is not the graph of a function. 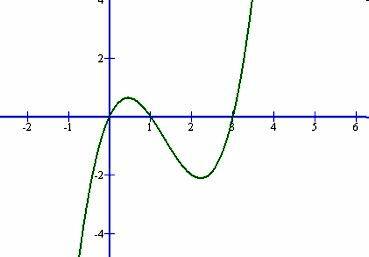 If it is not possible, then the curve is the graph of a function. A curve would fail to be the the graph of a function if for any input x, there existed more than one y-value corresponding to it. Note that the points (0, 2) and (0, -2) both satisfy the equation. So we have a situation in which one x-value (namely, when x = 0) corresponds to two different y-values (namely, 2 and -2). The points (0, -2) and (0, 2) lie on the same vertical line with equation x = 2 on the Cartesian coordinate system. 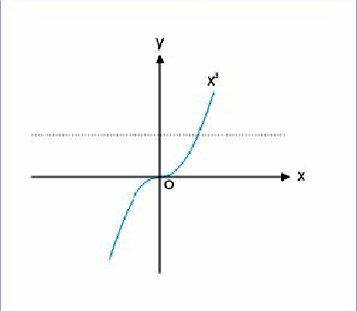 So if a vertical line hits a curve in more than one place, it is the same as having the same x-value paired up with two different y-values, and the graph is not that of a function. 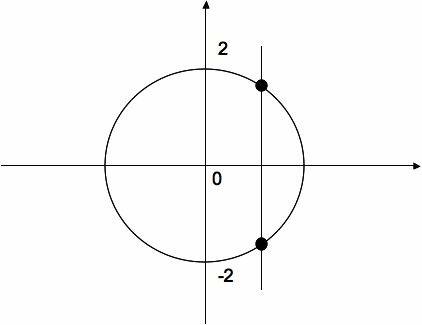 (Thus, a circle is not the graph of a function). We see that we can draw a vertical line, for example the dotted line in the drawing, which cuts the circle more than once. Therefore the circle is not a function. Example 1. Does this graph pass the vertical line test? Solution. It passes the vertical line test. Therefore, it is the graph of a function. Example 2. Does this graph pass the vertical line test? Solution. 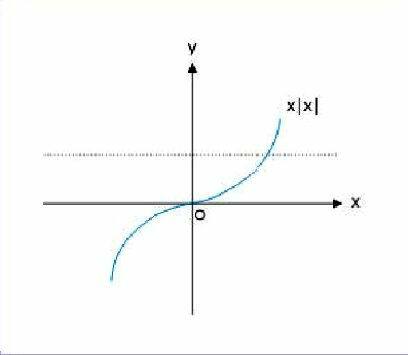 It does not pass the vertical line test because the vertical line we have drawn cuts the graph twice, so it is not the graph of a function. A one to one function is a function which associates distinct arguments with distinct values; that is, every unique argument produces a unique result. It is not necessary for all elements in a co-domain to be mapped. 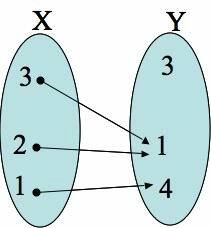 A one to one function is also said to be an injective function. A function f that is not injective is sometimes called many-to-one. Put . Solve equation. If it yields then function is one-one; otherwise not. Alternatively, draw plot of the given function and apply the horizontal line test. 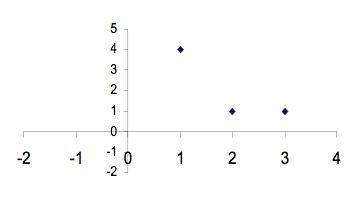 That is, draw a line parallel to x-axis such that it intersects as many points on the plot as possible. If it intersects the graph only at one point, then the function is one-one. Alternatively, a function is a one-one function, if f(x) is a continuous function and is either increasing or decreasing in the given domain. Decide whether f is injective. Solution. Applying the horizontal line test, draw a line parallel to x-axis to intersect the plot of the function as many times as possible. We find that all lines drawn parallel to x-axis intersect the plot only once. Hence, the function is one-one. Solution. Draw the plot of the function and see intersection of a line parallel to x-axis. We observe that there is no line parallel to x-axis which intersects the functions more than once. Hence, function is one-one. Solution. We can solve and see whether to decide the function type. We see that is not exclusively equal to . Hence, given function is not a one-one function, but a many – one function. The conclusion is further emphasized by the intersection of a line parallel to x-axis, which intersects function plot at two points. Solution. The given function is a rational function. We have to determine function type. We see that . It means pre-images are not related to distinct images. Thus, we conclude that function is not one-one, but many-one. A function is an onto function if its range is equal to its co-domain. Onto functions are alternatively called surjective functions. Decide whether f is an onto function. Solution. We can apply the definition to verify if f is onto. Definition. A function is a bijection if the function is both one-one and onto and has the property that every element y ∈ Y. corresponds to exactly one element . Stated otherwise, a function is invertible if and only if its inverse relation is a function, in which case the inverse relation is the inverse function: the inverse relation is the relation obtained by switching x and y everywhere. Not all functions have an inverse. For this rule to be applicable, each element must correspond to exactly one element y ∈ Y . Most functions encountered in elementary calculus do not have an inverse. Definition. A function admits an inverse function if the function is a bijection. Decide whether has the inverse function and construct it. Solution. The function is both one-one and onto, so the function f has the inverse function . Step 1: Write down the rule of the given function . Solution. The function is not one-one, so the function does not have the inverse function . Solution. The function is not one-one, so the function f does not have the inverse function . We can understand composition in terms of two functions. Observe that set B is common to two functions. The rules of the functions are given by f (x) and g (x) respectively. Our objective here is to define a new function and its rule. Thinking in terms of relation, A and B are the domain and codomain of the function f. It means that every element x of A has an image f (x) in B. Similarly, thinking in terms of relation, B and C are the domain and codomain of the function g.
In this function, f (x) which was the image of pre-image x in A is now pre-image for the function g. There is a corresponding unique image in set “C“. Following the symbolic notation, f (x) has image denoted by “g(f (x)) ” in “C”. 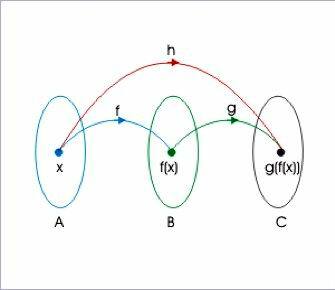 The gure here depicts the relationship among three sets via two functions (relations) and the combination function. Function composition is a special relation between sets not common to two functions. By convention, we call this new function as and is read “g composed with f“. The two symbolical representations are equivalent. It indicates that composition of functions is not commutative. And, if both conditions are met simultaneously, then we can conclude that both and g exist. This is usually possible when all sets involved are sets of real numbers. Check whether and exit for the given functions? This means that both compositions and exist for the given sets.